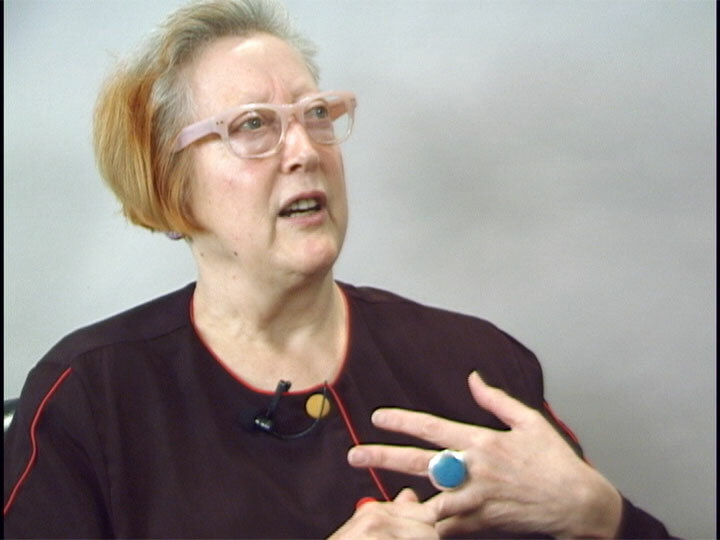 Feminist performance artist, Martha Wilson (b.1947), is director and founder of the alternative New York art space, Franklin Furnace Gallery, in operation since 1976. In this interview, Wilson discusses her Quaker upbringing, the impetus for her move from Nova Scotia to New York, and the founding of Franklin Furnace, as well as her involvement in the feminist punk band collective Disband. She also discusses her collaboration with the Guerrilla Girls, a group established in the mid 1980s to confront the art world’s sexism and racism. In the interview, Wilson describes the “sculpting of personality” that mobilized her early investment in art and continued to sustain her later satirical performances parodying the personas of Nancy Reagan, Barbara Bush, and Tipper Gore.